New Samsung ML1710D3 (SCX4100 / SCX4216) Premium Quality Compatible Black Toner Cartridge designed to work in the ML- 1500/ 1510/ 1510b/ 1520/ 1710/ 1710d/ 1740/ 1750/ 1755, SF-560/ 565/ 565p/ 755, SCX 4016/ 4100/ 4116/ 4116d/ 4216f. Also fits the Xerox Phaser 3115/ 3116/ 3120/ 3121/ 3130, Xerox WorkCentre PE16, Lexmark X215mfp printers. The use of compatible supplies does not void your printer warranty. 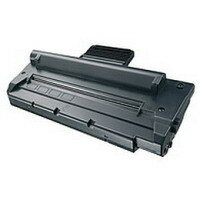 Replaces the Xerox 109R00725 and 113R00667 cartridges. Xerox 6R359 Premium Quality Compatible Black Copier Toner designed to work in the 5009/ 5307/ 5308/ 5309/ 5310 laser copiers. The use of compatible supplies does not void your printer warranty. Xerox 106R462 Premium Quality Compatible Black Laser/Fax Toner designed to work in the Phaser 3400 printers/fax. The use of compatible supplies does not void your printer warranty.